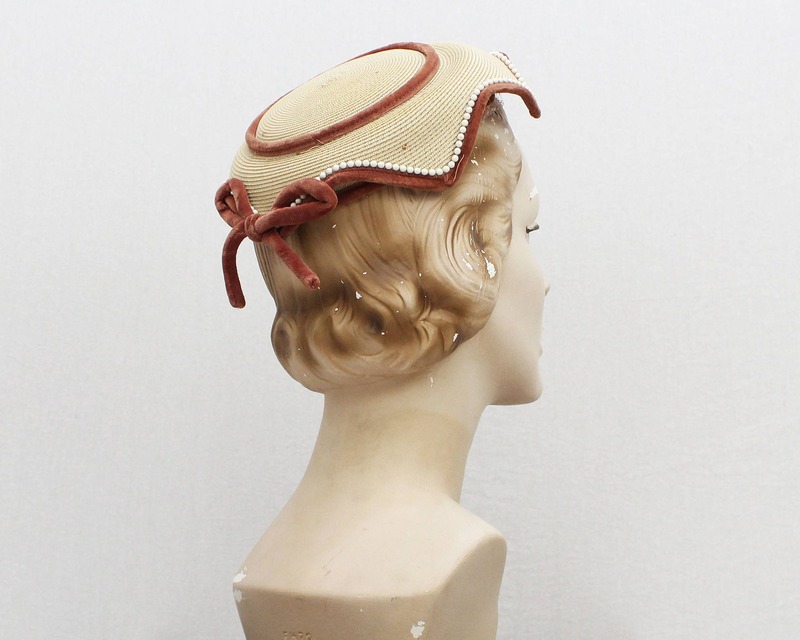 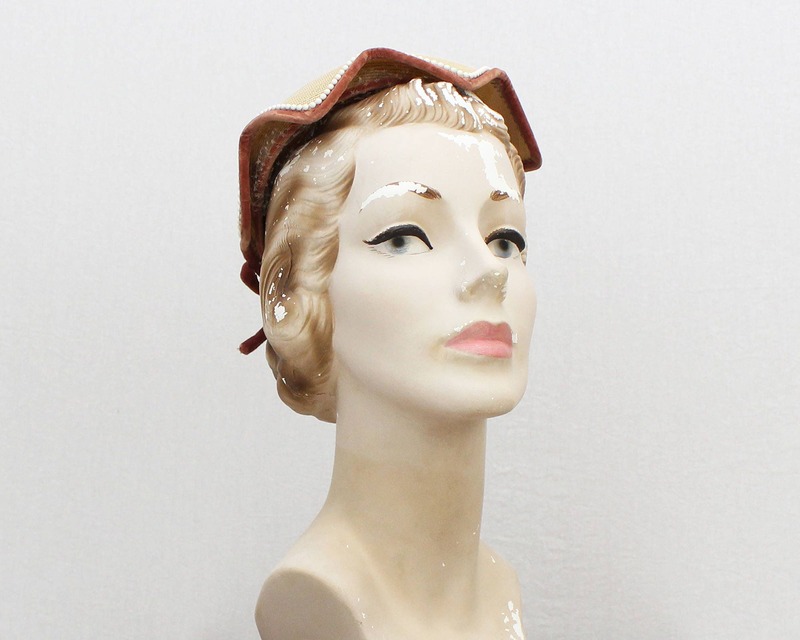 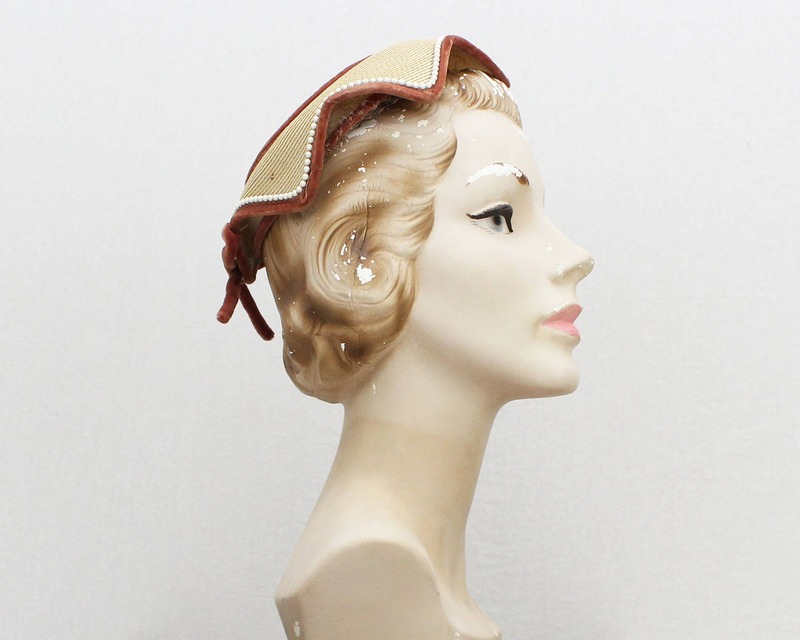 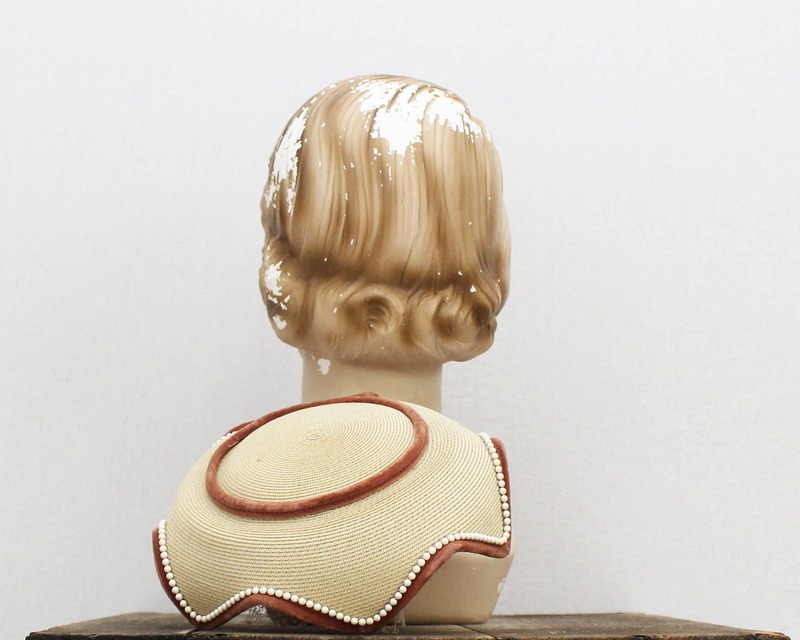 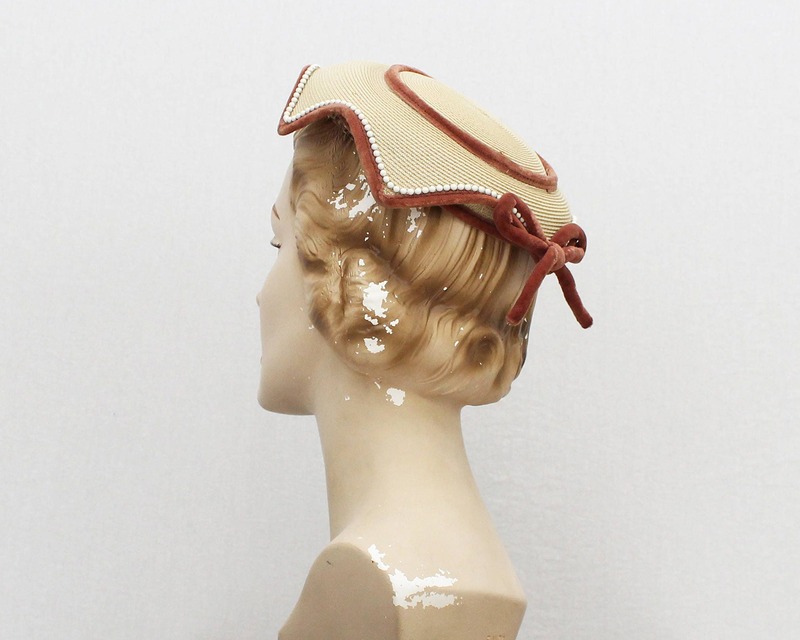 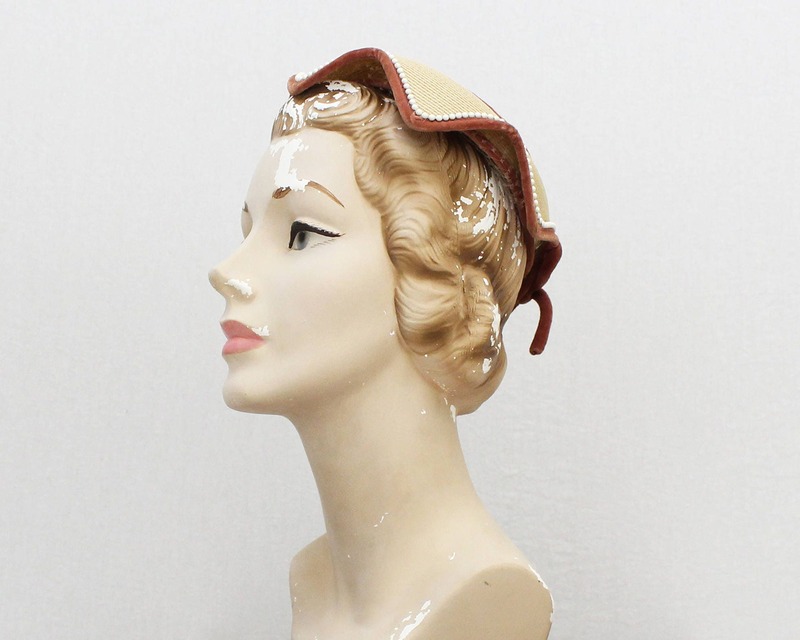 A fantastic vintage 1940s hat with tightly woven straw trimmed with pearl beads and velvet piping. 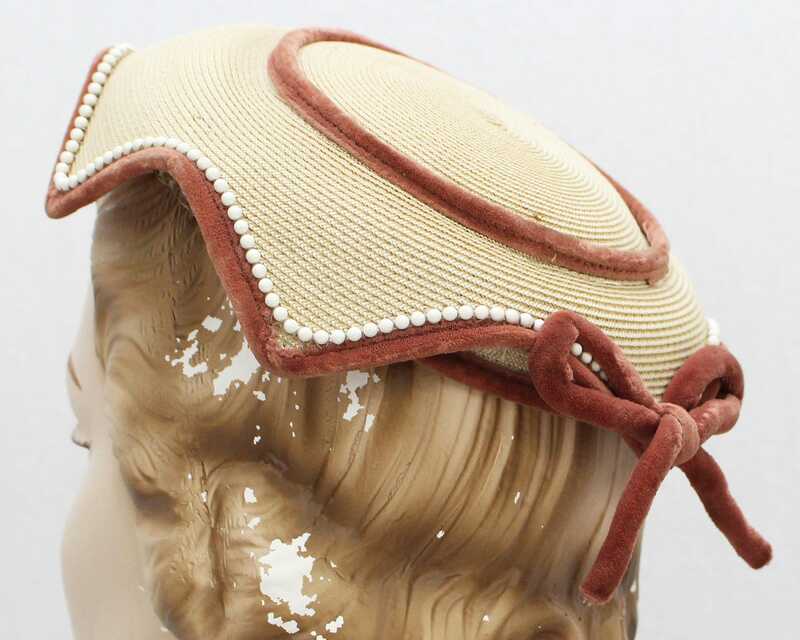 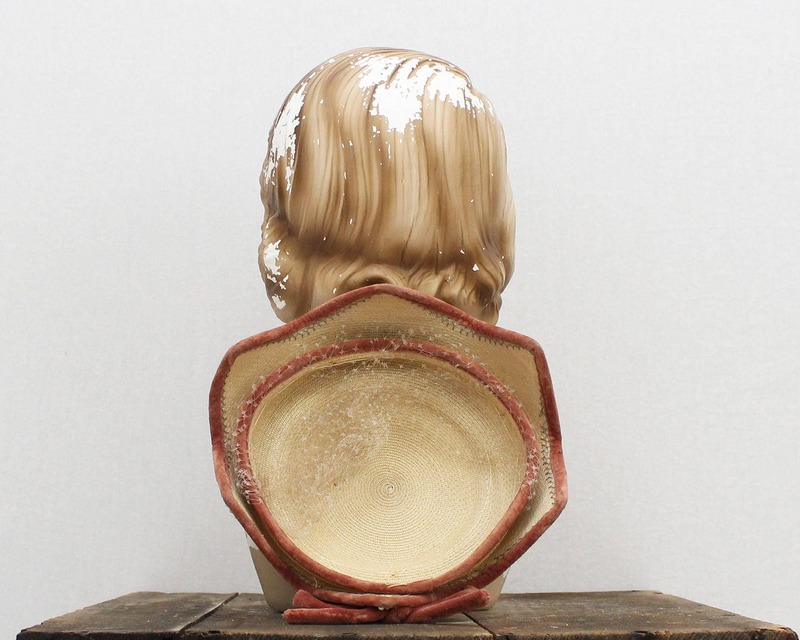 The cap sits on the head, and holds the top piece which is cut in a pointed pattern. 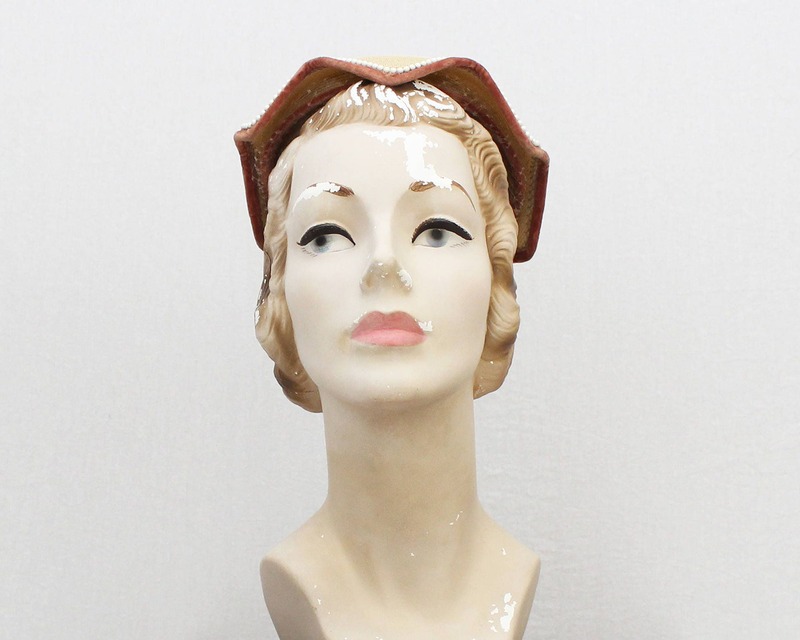 No notable flaws, but there are a few natural variations in the straw.